Where to find us in 2015! I know I am definitely not the fastest runner, nor am I the best runner. I know I will never win any races. I may win in my age group – or at least take second or third place – but I will never cross the finish line first. Last? Yes, as a matter fact, I have. And will I again? Probably. But it really doesn’t matter what kind of runner I am. I run. I race. Period. It’s so satisfying, fulfilling, if you will. All of your hard work leading up to a race culminates as the gun (or whatever is used) goes off and you take that first step toward the starting line, heart pounding, palms sweating, excitement surrounding you. And when you cross that finish line, oh man, there truly are no words. It’s just, I don’t know, almost euphoric. I have to say, I am looking forward to racing in 2015. We’ve ran a couple of races already and have many more to look forward to. 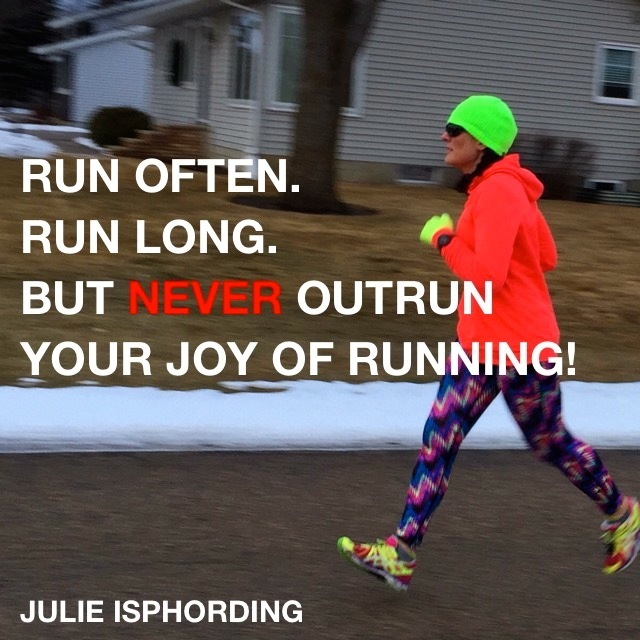 My running/racing goals this year? I would LOVE to run three half-marathons and I would like to run a total of 33 races. This would put my hubby and I at a grand total of 150 races since we began our running/racing adventure. We have one half-marathon already booked, one we will book in the next couple of days and one more we are looking for. I spent much of my afternoon researching and planning for our 2015 season! Each year, I keep track of all our races and our times. We love to look back and see if we’ve improved or not. 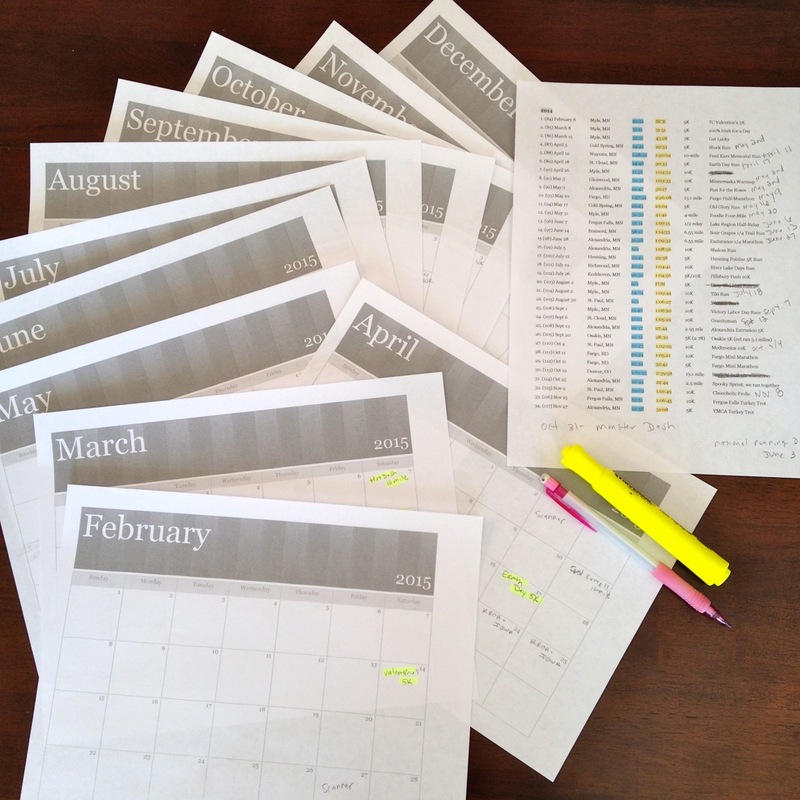 And, it helps for planning purposes for the next year to see what races we’ve done and if we want to do them again – meaning, do they fit into our schedule. When planning for races, we have to keep in mind my husband’s schedule for work, as he has to be on “scanner duty,” which means he can’t leave the county we live in. He is a newspaper editor/reporter/photographer and being on scanner duty means he listens to the police/sheriff scanner and if something big breaks, he has to go to the scene. In addition, being on scanner duty means a weekend assignment, which is typically taking a picture of some event or something happening over the weekend. There’s kind of a lot that goes into planning our race season, but I love it. Which is a good thing, because I don’t think my hubby does! One of my readers, Mandy, recently asked if I would post about our upcoming races. So, here’s a look at the races we are already signed up for and the races we would like to do. At the end, I will include some of the racing websites I use for finding races. NOTE: The * means we have either already completed the race or we are already registered for it. All races are in Minnesota unless indicated by the state. On May 2, there are three races and I am guessing we will end up doing two of them – not for sure which two. Three other races in July, but not sure of the dates yet – Henning Polzine 5K (Henning), River Lakes Days 10K (Cold Spring) and the Pillsbury Push 10K (Kerkhoven). August – None at the moment, but I guarantee that will change! Two other races in September are the Alexandria Industries 5K (Alexandria) and the Osakis 5K (Osakis). There is also the Fargo Mini Marathon 5K and 10K in October but the date has not been set. There is also a Turkey Trot 10K in Fergus Falls in November, but the date has not been set. There are tons of other websites out there, you just have to do your research! If anyone has any other websites or if you know of a great half-marathon in September or October, please leave me a comment or send me an email – celbeam@gmail.com. I would love to hear from you! Remember, you can always find me on Facebook HERE and HERE and on Instagram HERE! What a busy & fun spring/summer you have to look forward to! Previous Previous post: LOTS to talk about!